0	jplist-folder-All-Posts-584 jplist-folder-All-Posts-584 Case-Study-Case-Study	jplist-topic-Case-Study jplist-topic-Keystone	0	03/09/2017 08:45:00	A Little Caesars franchisee's was in need of several IT solutions to assist him in becoming franchise compliant, PCI compliance and have a more reliable network. Those solutions were provided by Keystone and the case study is attached for your review. 1	jplist-folder-All-Posts-584 SPIFF-SPIFF	0	07/27/2016 20:37:03	All agents are paid a 10% recurring monthly commission for services sold as a direct referral. We need only a company who is interested in our services and we will take the process from there. Upon close of business the agent that submitted the referral will receive a 10% monthly recurring revenue check for all services rendered. We like to take good care of our selling partners and look forward to helping you. Please click on the Agent Contact form located in our navigation bar to begin the process. We are currently running a promotion of an additional $200 bonus on your first months payment for new business.You can also visit our website at www.mykeysupport.com or call one of our representatives at 866.865.3939We look forward to working with you. 2	jplist-folder-All-Posts-584 Quick-Post-Quick-Post	jplist-topic-Caesarvision jplist-topic-Isp jplist-topic-Msp jplist-topic-PCI jplist-topic-PCI-3-0 jplist-topic-PCI-Compliance jplist-topic-Stream jplist-topic-voip	0	06/15/2016 10:57:44	A Little Caesars franchisee's was in need of several IT solutions to assist him in becoming franchise compliant, PCI compliance and have a more reliable network. 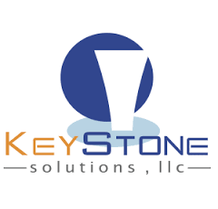 Those solutions were provided by Keystone and the case study is attached for your review. 3	jplist-folder-All-Posts-584 White-Paper-White-Paper	jplist-topic-Barracuda jplist-topic-Branch-Office-Network jplist-topic-Cisco-ASA jplist-topic-Cisco-Meraki jplist-topic-Cloud-delivered-WAN jplist-topic-Data-Center jplist-topic-Dsl jplist-topic-Enterprise-Wan jplist-topic-Fortinet jplist-topic-Hipaa jplist-topic-Hosted-Applications jplist-topic-Hybrid-WAN jplist-topic-it jplist-topic-IT-Staff jplist-topic-mpls jplist-topic-Network-Visibility jplist-topic-Ordinary-Broadband jplist-topic-PCI jplist-topic-PCI-3-0 jplist-topic-PCI-Compliant jplist-topic-Private-Links jplist-topic-Public-Internet jplist-topic-Retail jplist-topic-Retail-Stores jplist-topic-Satelite-Office jplist-topic-SD-WAN jplist-topic-T1 jplist-topic-Velocloud jplist-topic-voip	0	06/15/2016 07:39:29	Triton had a need for PCI compliance as they accepted payments at all of the retail locations as well as improved connectivity for their call recording capabilities. They faced many difficulties with their voice over IP network as well as keeping call recordings from client interactions. Velocloud not only eliminated their voice over IP issues but allowed them to do so with the existing ordinary broadband connections at some of their stores. Their IT staff reported that along with their ability to now have network visibility nearly all of their issues were eliminated instantly with the implementation of Velocloud SD-WAN. 4	jplist-folder-All-Posts-584 White-Paper-White-Paper	jplist-topic-Branch-Office-Networking jplist-topic-Capex jplist-topic-mpls jplist-topic-Ordinary-Broadband jplist-topic-Reduce-CAPEX jplist-topic-Reduce-IT-Costs jplist-topic-Retail-Broadband jplist-topic-SD-WAN jplist-topic-Sdwan jplist-topic-T1 jplist-topic-voip	0	06/15/2016 07:18:35	Devcon Construction found T1 and MPLS circuits to be slow and time-consuming to roll out. At many of their branch chain locations employees had stopped using their voice over IP system altogether and switched to their own means to have conference calls or talk to customers because the connection was so bad. Large files used up most of their bandwidth and could slow down their networks for hours. They needed a solution that could use ordinary broadband connections that are readily available and easy to roll out while maintaining enterprise-level connectivity. Velocloud was able to help them implement this goal and save them over 50% on their IT and broadband costs related to their prior circuits. They are able to avoid the expensive cost of setting up a new location because they can configure the Velocloud Appliance and ship it to the remote site with no expensive trips required. 5	jplist-folder-All-Posts-584 White-Paper-White-Paper	jplist-topic-Branch-Office-Networking jplist-topic-Broadband jplist-topic-Capex jplist-topic-Hipaa jplist-topic-Improved-Speed jplist-topic-opex jplist-topic-PCI jplist-topic-PCI-Compliance jplist-topic-Reduced-Cost jplist-topic-Site-To-Site jplist-topic-Velocloud	0	06/14/2016 21:56:56	Redmond saw highly reduced costs and improved speeds over their networks using Velocloud. They were able to use connections that years ago would not have been sufficient to provide enterprise-level quality data and voice to their organization. This was all achieved without any front end Capex investment and reduced monthly recurring expenses. Velocloud's SD-WAN was the only solution. 6	jplist-folder-All-Posts-584 jplist-folder-All-Posts-584 Case-Study-Case-Study	jplist-topic-Branch-Office-Networking jplist-topic-Broadband-Demands jplist-topic-cable jplist-topic-Cable-Internet jplist-topic-Connection-Cleanup jplist-topic-Dsl jplist-topic-Failback jplist-topic-Failover jplist-topic-Increased-Speed jplist-topic-Link-Cleanup jplist-topic-Multiple-WAN jplist-topic-Reduce-Bandwidth-Costs jplist-topic-Redundant-WAN jplist-topic-Replace-MPLS jplist-topic-Site-To-Site jplist-topic-Slow-Internet-Connection	0	06/14/2016 19:40:29	The Bay club in California found itself with the dilemma of a large bulky network that had needs for voice, data and public access. Their current MPLS connections were far too slow and cumbersome to accommodate the increased need for bandwidth and connectivity. This is where Velocloud's SD-WAN stepped in and solved their problem on all fronts. 7	jplist-folder-All-Posts-584 jplist-folder-All-Posts-584 Case-Study-Case-Study	jplist-topic-Cloud-Monitoring jplist-topic-Failback jplist-topic-Failover jplist-topic-Link-Aggregation jplist-topic-Link-Steering jplist-topic-Monitoring jplist-topic-Multipath-Optimization jplist-topic-Multiple-Sites jplist-topic-Network-Visibility jplist-topic-On-Demand-Remediation jplist-topic-Redundant-Connection jplist-topic-Redundant-Internet jplist-topic-Research jplist-topic-Simple-Deployment jplist-topic-University jplist-topic-Velocloud jplist-topic-Virtual-Private-Networking	0	06/14/2016 19:29:24	When Deutsche Telekom Silicon Valley Innovation Center needed a simple but effective solution to connect multiple sites they implemented Velocloud. They needed a fast, secure, simple network overlay to achieve their goals. This led them to Velocloud. Read more by downloading the PDF file attached for the full case study.